I'm proud to say that this company is from my home state of Vermont. 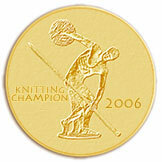 There was controversy awhile back between Knitpicks and this company as Knitpicks needles look exactly the same. Lovely needle! I just have too many WIP's to justify a special needle... or do I?? I agree about wood. My favorite is black walnut and I'm trying to convince Norm to turn some black walnut knitting needles for me. I refuse to work with metal anymore. 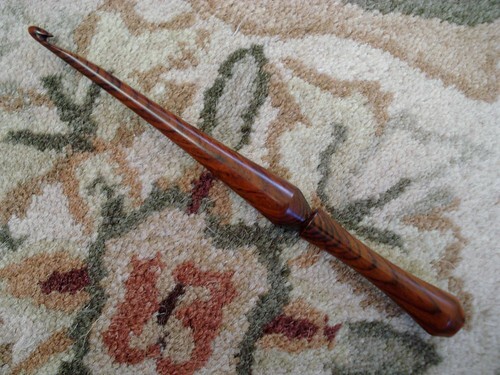 I would love a crochet hook of lovely wood but don't crochet enough to justify it. Lovely hook you have there.